INFINITE SPACE. 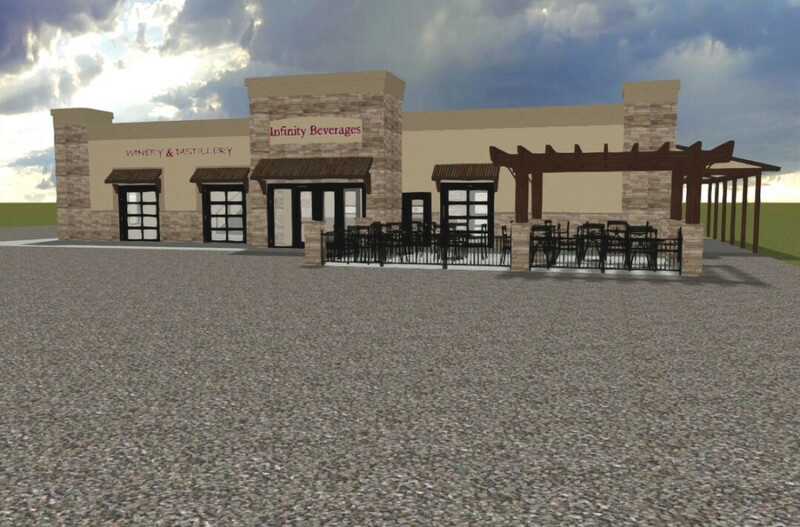 Infinity Beverages, a winery and distillery in Banbury Place, plans to relocate to a newly renovated location on Mall Drive by June. There are few more enjoyable ways to spend a Saturday afternoon than at a wine tasting. And the fact that I construe it as work makes it all the sweeter, or perhaps that is just the surprisingly crisp apricot wine. I had the opportunity to sit down with Infinity Beverages’ owner, winemaker, and distiller Matthew Rick to discuss his upcoming relocation and expansion. Last September Volume One covered Matthew’s plans when they were still a far-away goal, but now the renovations of a new, larger south-side location are about to begin with a grand opening coming up in June. It’s an approach to wine that works well with local culture and one Matthew intends to reflect in the design of Infinity Beverages’ new location: “We’re trying to make (the Tasting Lounge) more multi-faceted so we can do more events and offer more seating to people in general because that’s one of our main problems down here. ... We’re going to use a lot of galvanized piping so (the lounge) will have an urban industrial feel to it. That’s what we are; we’re a winery and distillery. We’re not a vineyard; we’re not a country wine store.” The new Tasting Lounge, located in the former Coffee Grounds building on Mall Drive, will be nearly 10 times the size of the current space, with everything from a mezzanine overlooking the bar and production room to an outdoor seating area with access to food trucks. Live musical performances will take place on Fridays, and guests will be able to take tours of a greatly expanded production room featuring the new 200-gallon still (a huge step up from his current 26-gallon one) and 4,000-liter fermentation tanks. The new equipment will allow Infinity Beverages to move its production capacity from 3,000 cases to 20,000. The new Infinity Beverages will open in June at 3420 Mall Drive, Eau Claire. The current establishment in Banbury Place (930 Galloway St., Suite 4) will remain open right up to the grand opening. Learn more about the business and its new location at infinitybeverages.com.